FCC implemented new regulations aimed at improving cellular signal booster design so that they don’t interference with wireless networks. Do you experience dropped calls or choppy, incoherent conversations on your cell phone within your home/ office or car/ truck in USA? Most service provider's cellphone coverage's very good - However, housing materials such as concrete, metal, low emissivity or tinted glass windows, etc. block cellular signals and prevent good mobile reception indoors in homes/offices and outdoors in cars/trucks. FCC approved cell phone signal boosters. Cell phone signal boosters listed below boost reception for all cellphones in USA. Strengthened cellular signals reduce dropped calls, speed Internet. Boost reception at home or in car after service booster installation. Buy with confidence with our 60 days money back guarantee. The FCC also has new rules for cell phone users that want to use mobile signal boosters. Signal boosters with the safeguards to meet the new FCC rules are already available (shown below) and most wireless providers have authorized their use. When your wireless provider implements a registration process, you can register your booster (free of charge). 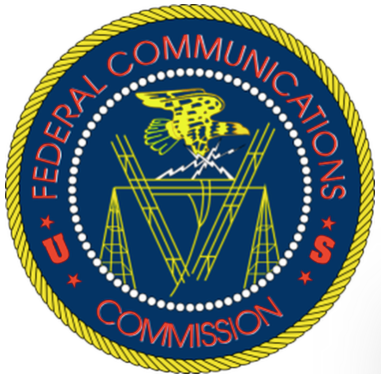 FCC rules prohibit signal boosters from causing interference to wireless networks, even if all other rules have been complied with. If the FCC or a wireless provider contacts you and tells you your signal booster is causing interference, you must switch it off until the interference problem can be fixed. E911 systems provide a 911 caller’s call back number to emergency service personnel automatically. In most cases, this includes location information. When a signal booster is used to make a call to 911, the location information may not accurate, or may not be provided. This would affect the emergency personnel’s ability to locate you if required. Remember that a signal booster may help complete calls, including calls to 911, in areas where this was previously not possible. After purchase, cell service signal amplifier registration should be easy. Simply register signal booster by following information provided at https://www.signalbooster.com/pages/register-cell-phone-signal-booster. All of the following cell phone signal amplifiers are FCC certified and tested to improve wireless reception in homes or buildings, cars, trucks, boats, recreational vehicles (RVs), etc. on all USA mobile networks. They help you to minimize dropped calls, missed calls, stuck/late text messages, and slow mobile internet due to weak cellular reception. As long as there's some minimal cellular signal outside the home/building or vehicle, you will definitely experience remarkable cell signal amplification inside.